I’d like to share the 7 inch hex Battle Tiles that I made back in 2009. You can read about it HERE on the Profantasy forums. 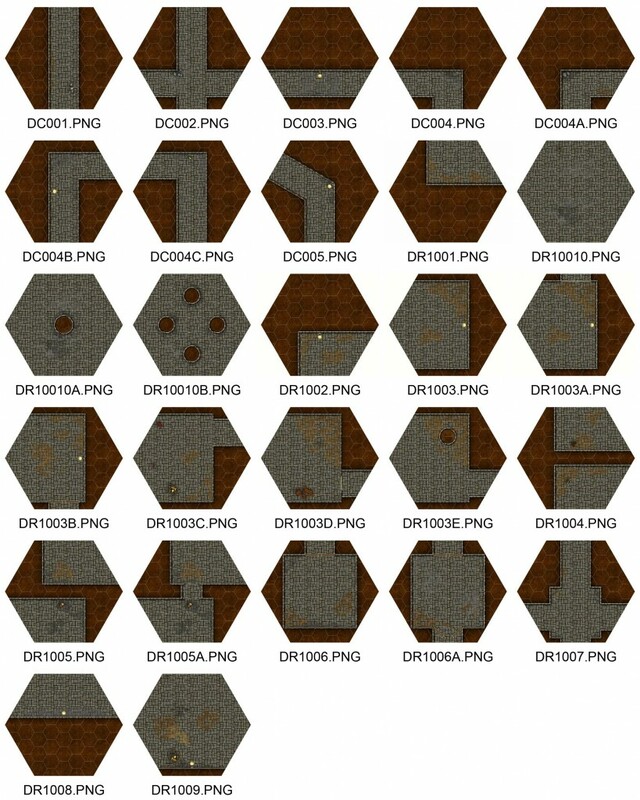 For more information on the battle tiles click on the tags to other posts concerning Geomorphs. If you end up using them please share pictures and if you tend to use them often and you need a new tile then please let me know and I’ll whip one up for you. This entry was posted in Geomorph, Maps, Props and tagged CC3, Geomorph, Geomorphs, GURPS, Maps, Play Aids, PROPS by Highland_Piper. Bookmark the permalink. Im curious about the very first hex with a different floor color/texture. are there others that match this one? There are, they are only in .fcw format which is the file used for Campaign Cartographer. 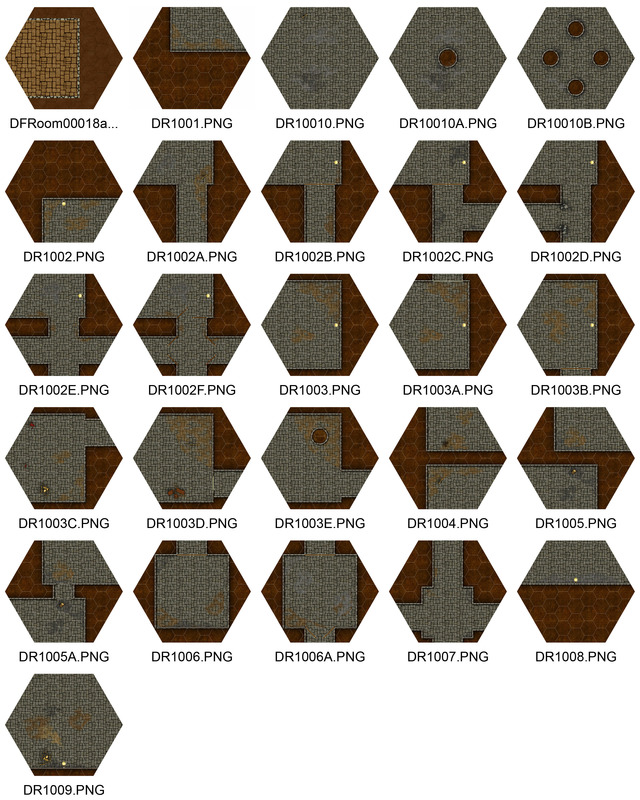 However if you are interested in the brown flagstones instead I’d be happy to export them out into pdf’s. It will take some time to do it, but hopefully not as long as it took me to finally post these tiles up!